Raul dove right in when I asked him to share about his experience with poetry, machismo, cultural background, and how it influenced his life with his most important people. The thing is, after talking to Raul in person, years after buying his book Brown Skinned Angels, I realize how much of an activist he is. Except that he doesn’t have Instagrammable photo ops at marches and other relevant points of discussion that can be hashtagged. If you get the rare privilege of being in Raul’s presence be quiet listen. Listen well. And learn. Because hardly ever you will stumble on people with the right mix of zen and sass, compassion and hardknocks sense, humor and depth and brilliance, but above all humility. He could have spent his retired time finding meaning as many people do because they sold their soul to the work of checking boxes. It’s a safe choice. But he already did his growing while in the cocoon of corporate America. So instead, what he chose to do with his precious time, is to teach writing and lead poetry workshops for immigrant college students, and teenagers in prison, with PONGO Teen Writing. PONGO is a Seattle non-profit that works with youth living in the middle of difficulties and confronted with major barriers like jail, street-homelessness, and a few other circumstances. Raul is a thoughtful individual. His words aren't hurried or wasted. After a little bit of talking and sharing of poems, I can see how the arduous work of writing and editing an emotionally high impact event in our lives that’s been put down on ink and paper, disassociate us just enough to gather the value without losing ourselves in the feeling. It was simple and brilliant. Lead these teenagers to process, self-reflect, understand and build their lives out of their own volition, all through writing poetry. All we need are willing people. Where are all the willing people? 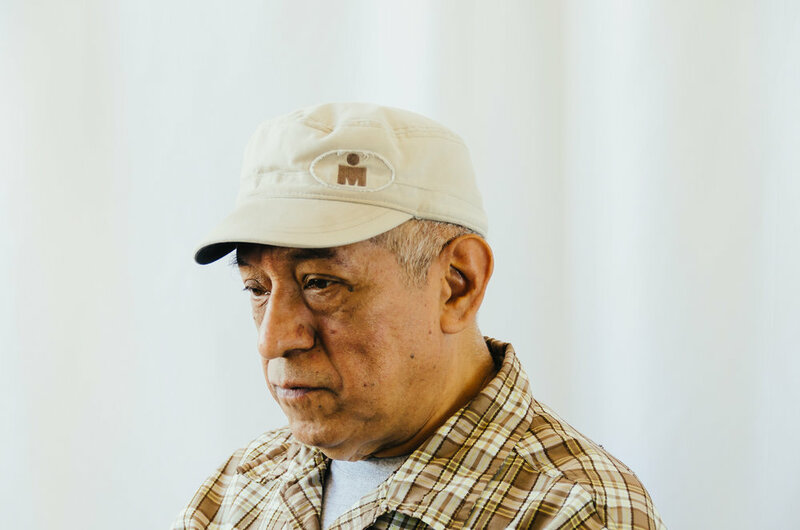 Raul tells me about the time in California that he was jailed. Nothing about Raul makes you suspect a rap sheet. It’s hard to not want to talk about everything with Raul. But I am getting tired and I have things to do. At a certain point I make the decision to cancel everything that is waiting for me. I don’t know when I will have the privilege of conversation with this brilliant man. The last time I saw him was the first time we met. Mighty Tieton, 2016, Dia de Los Muertos. He had set up an altar with all the motifs and details to help the audience get a real picture of what an authentic altar looked like in ancient Mexico. His blood is all Mexico. But he loves humanity more. I follow him on social media. Inviting the readers to help sort out a dilemma with his son. There is no toxic masculinity here. I would say he is one of my examples of a healthy male soul, living in community and in vulnerability. We need more of that. I make a mental note. He had built a replica of the original Aztec piece. Rows and rows of skulls on a metal rods frame. It was beautiful and terrifying. The epitome of Aztec culture. I bought his book, All Brown Skinned Angels, and chat him up to find out more about what drives him. That was the last time I saw him. We talk some more about his projects and the book he is finishing. He shares about one evening when his teenage daughter and him sit down to write a poem together. I am thinking of my dad working together with me. Whatever it was. For all his trauma that kept him from accessing more vulnerable parts of him, he showed up. Working together, the exchange of ideas. The problem solving. The editing of songs and the painting or sanding or whatever the given project required, was the bridge that connected us over the chasm that trauma created in him. I am happy for that teenage daughter. She gets a gift that will only begin to unfold as she grows older. And only in the darkest of times, will she realize the depth and value of working together with your parent that is fully present. How did you start writing poetry? Do you remember the beginning? "I was in Florida trying to recover from divorce. I couldn't see my children. I needed to process. So I began to write. I wouldn't let anyone see them. But that was my start." Raul showers me with gifts; poems, book suggestions, links to the online radio playlist he DJ’s on the regular, Spanish words, and the blessing of wisdom. But more than anything, the fire inside me has been stoked and now I want to have pop up poetry writing workshops in our community to help and guide those who walk in, along the process of healing. There is a lot of healing in dissociating by choice in a healthy manner. And here is where Raul’s powerful form of activism takes root. It is quiet and it is personal. It is small groups where you can ask questions and he, as your teacher, answers. Not in a canned manner. He will answer with thoughts tailored to your own writing project because he can, because the group is small. A community of people who learn to heal is a compassionate community. On an individual basis, when we learn how to heal ourselves, we are able to teach others. And with time, he watches them grow. You can find more information and poems written by Raul at www.tlatlaliani.com. Stay tuned for his next book!